Challenge: Airbus required a trusted managed hosting services provider to build a bespoke and reliable solution for a new product launch. Permanent website availability was paramount. Solution: They chose Claranet to provide a resilient and secure platform for their four websites. Result: The launch of the biggest airliner ever built (the A380) demanded huge volumes of website traffic, which Claranet's reliable hosting infrastructure was able to manage, without any down time. Airbus produces commercial aircraft renowned for efficiency, innovation, and safety. Operating multiple websites worldwide, Airbus needed a reliable partner to build and manage a tailored managed hosting service and to be able to update their websites in real time. The aeronautic industry needs highly reliable, expert technical partners available at all times. Airbus chose Claranet as their hosting partner, reassured that we go the extra mile to ensure all parts of the site are up at all times. dedicated data storage access and back-up systems. ability to update content in real time. Airbus found that the key advantage of our managed hosting service is the ‘pre-production' platform, which makes it possible for them to change and edit their websites with no risk of unavailability. A Technical Account Manager is the main point of contact throughout the project. The solution is managed by a team of expert project managers who are ITIL (Information Technology Infrastructure Library) certified - the world’s most respected qualification in the delivery of high quality IT services. We are always available, even in the middle of the night. 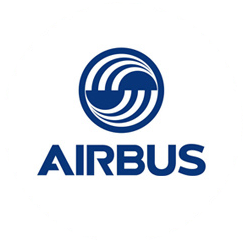 Claranet incorporated dedicated data storage and centralised data access provided through a NAS (Network Attached Storage) system, which enabled Airbus to share storage between the back office, the pre-production platform and the front office. This allows Claranet to quickly add new servers (if required), without copying across website data. A data backup system safeguards Airbus's business data, and a firewall is deployed for security to defend websites from online attacks. Airbus's website was available without interruption. On the day of the Airbus A380's first public appearance, the website received more than 600,000 unique visitors. 750,000 more visitors flocked to the website when the super jumbo jet's made its maiden flight. The solid and reliable technical framework was closely managed by a Technical Account Manager to ensure there was no degradation in customer experience. The close working relationship we have with our Technical Account Manager has helped foster a good relationship with our other web partners and create the feeling of a "virtual web team" around airbus.com. We have been working with Claranet and with our Technical Account Manager for several years now. We have developed a good working relationship, with mutual trust and understanding.